Anyone involved in the technology, MedTech (medical technology), EdTech (education technology), and education sectors, are used to waves of new jargon and acronyms. Clinical Simulation (or just “Sim”) is no exception, in fact the innovation and rate of change have been so dramatic that even expert practitioners and instructors at Nursing and Medical Schools struggle to keep up with the tech, let alone all the new jargon from vendors and press. Knowing the downside of jargon and acronym use in business (especially in important, high-innovation industries) it makes sense to simplify and demystify this one. Today, Steven Menges, Adjunct Professor at NYU, helps to break it down for those new to this emerging professional field. First of all, there is no clear name for the sector itself— healthcare simulation, client patient encounter simulation, clinical simulation, medical simulation, virtual patients, simulation in healthcare, virtual standardized patients (and variations on each) are all used by different groups, schools, vendors and practitioners. Let’s go with ‘clinical simulation,’ but also agree none of the other names is “wrong” either. Sub-sectors abound as well, including actors posing as standardized patients (SP) for students (famously featured in the Seinfeld episode The Burning (Season 9, Episode 16)), and both high tech and low tech clinical simulation, often managed out of simulation labs on medical, nursing and other healthcare school campuses. From avatars to manikins to actors, there is much in-between and much to consider as an educator. In the end though, it’s all clinical simulation and the ultimate goal of better educating and preparing students remains fixed. Nursing and medical school ‘historians’ can each refer to their ‘no sim lab’ era, then to the era which introduced manikins and other high-fidelity tools, and then the era which brought ‘virtual’ clinical simulation to their school in a number of forms. 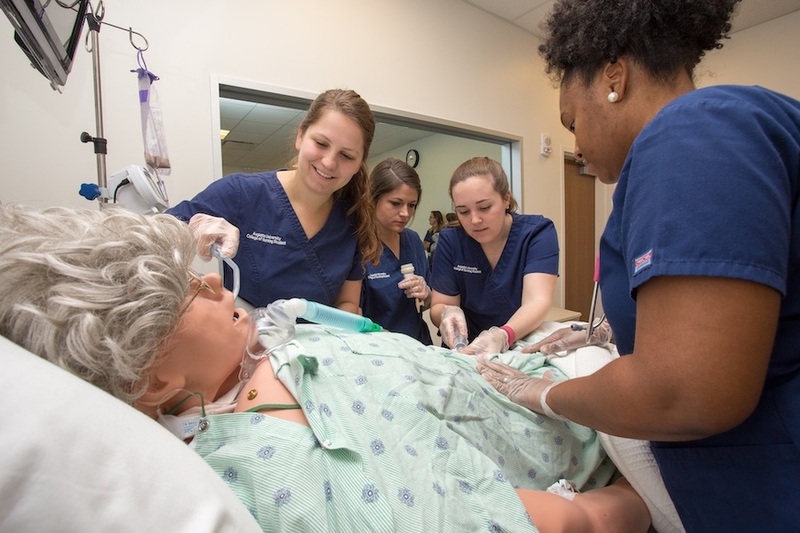 For example, with 2500 members now and their INACSL Standards of Best Practice: Simulation, The International Nursing Association for Clinical Simulation and Learning (INACSL), has grown from a blip on the radar in 2004 to a major force in nursing education. Their growth is representative of the change happening (or at least being considered) at nursing, medical, and allied health schools everywhere. Simulated clinical patient/client encounters (yet another way to refer to the larger sector) are evolving as an important tool to better prepare students for their first challenging client interactions, albeit with limitations as to the simulation types and level of detail. Administrators and educators have to determine which type/s of “sim” are a good fit for their graduate and/or undergraduate curriculum, whether adopting new sim is affordable, and if and how it changes the faculty workload. The sheer number of clinical simulation product and service categories (not to mention vendors) makes it difficult for faculty and administration to efficiently navigate today’s clinical simulation landscape and understand what tools are best for their students, and where they fit best into their curriculum. HealthySimulation.com alone lists 9 general categories of clinical simulation products and services, and over 50 total categories. Task trainers and surgical simulators are incredibly specialized tools for a small group, while other clinical simulation tools are useful for a broader audience of students. Even the most experienced administrators need a scorecard to keep up. Many of these categories and products are physical or “psychomotor” clinical simulations using manikins, not entirely unlike Resuscitation Annie, whose amazing history dates back to the 1950s. These have been, and continue to be, valuable training tools for nurses and other healthcare professionals. Along with SP actors, these are at the core of the sector and are invaluable for educating future professionals. They’re also expensive and don’t scale well. Clinical “cognitive task” education is an area of great interest (and need), for students. After graduation and becoming licensed they’ll need to interact with real patients, collect and analyze patients’ histories and symptoms, and make decisions which can ultimately be life or death decisions. Practicing this in a safe environment and developing competency, expertise and confidence is everyone’s goal. 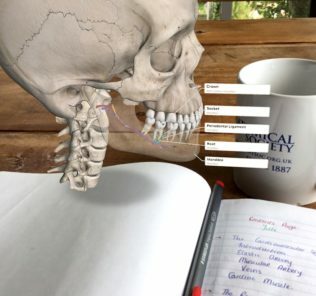 It’s a bit ironic then that “virtual” client encounter simulations done on a PC, iPad or smartphone are so effective as a tool for students to hone these skills that will be used in an exam room with real clients/patients. Virtual simulation has evolved to a level where most of the standardized patient OSCEs (objective structured clinical exam) given at schools can be replaced by a virtual simulation OSCE where the student has a dialogue with the avatar and does the history taking and physical assessment/exam (H&P) using the tool. A virtual simulation OSCE from i-Human Patients by Kaplan for example is incredibly detailed and costs a fraction of the cost for a traditional OSCE with actors posing as SPs. The beauty of doing an OSCE virtually is that the scheduling hassles go away and that standardized auto-scoring and remediation are built-in; everything is recorded and available for review. Beyond the OSCEs at school, it’s also an ideal tool to prepare for the clinical judgment and skills elements of the licensing exam. Being able to practice on SPs anytime and anywhere you and your device have Internet access is especially attractive to today’s “digital native” students. Schlepping to the campus Sim Lab might be how practice was done a few years ago, but it’s unacceptable today. Change in student needs and expectations is yet another thing educators must understand and account for today. 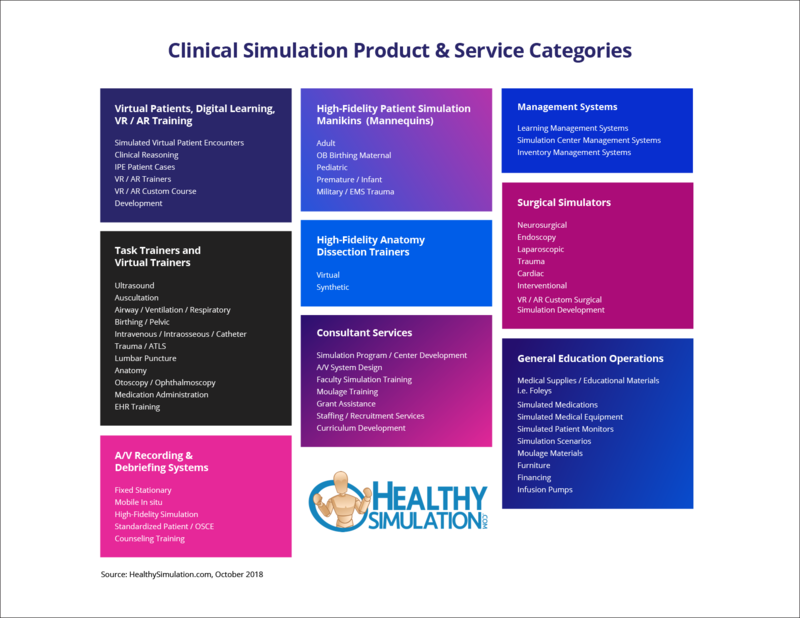 Click Here to Connect to Leading Healthcare Simulation Vendors For All These Categories! In summary, for those interested in clinical simulation overall, the field is incredibly exciting and this is really a magical time for all involved. It can seem overwhelming when taken altogether, but the combination of new tools and still-relevant old standards in “Sim” provide many great options to explore (provided you know what people are actually talking about). & Learn more about i-Human Patients by Singing Up for an upcoming webinar!